And a further “check it out”…. Here’s Janet Parde’s completed Crop Circles top. She done good! 🙂 It turned out stunning Janet. Thanks for letting us see it. And thank you for all the name suggestions for this design – so many good ones that fit it well! I had been trying to come up with a name using the word “prism”. Why prism? Well, I have a prism on one of my eyeglass lenses to correct a vision problem (amazing what a little grooved piece of plasticy stuff can do) and when the sun catches it at a particular angle, I see little bursts of rainbow colors which is what this design reminded me of. However, I just couldn’t think of anything. Then when I saw Janet T’s suggestion of “reflections” I knew that was what I was missing. So, it is now christened “Prism Reflections”. Thank you Janet. I may have to hire her as my official quilt namer. 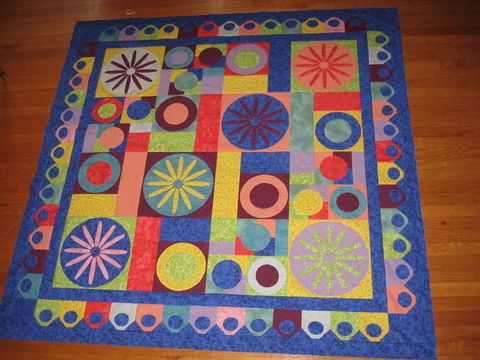 A few years back on The Quilting Post we were using another of my designs as a BOM. This quilt needed a name. Here’s what’s on the design wall today. 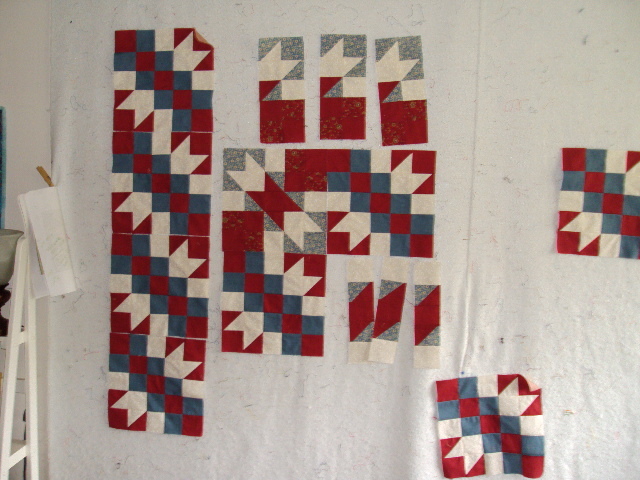 More pieces of Continuous Chain I was working on yesterday. But here’s what’s not on the design wall. All the dampness in the air having the windows open yesterday while it was drizzling must have sent them tumbling off the wall. Good thing it was just a temporary spot and they weren’t really laid out in order. 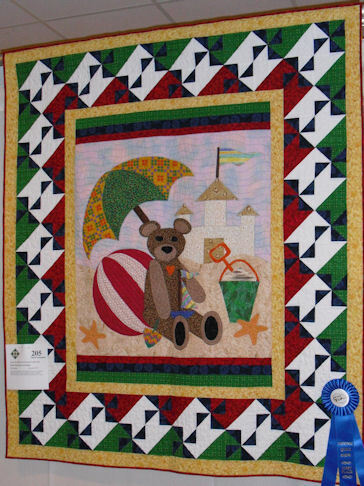 Pat Bandura sent me a photo of the quilt she made for her grandson from my Baxter at the Beach design in the EQ download files. It turned out wonderful Pat and look at that ribbon! she entered it in her local show and it took first place. 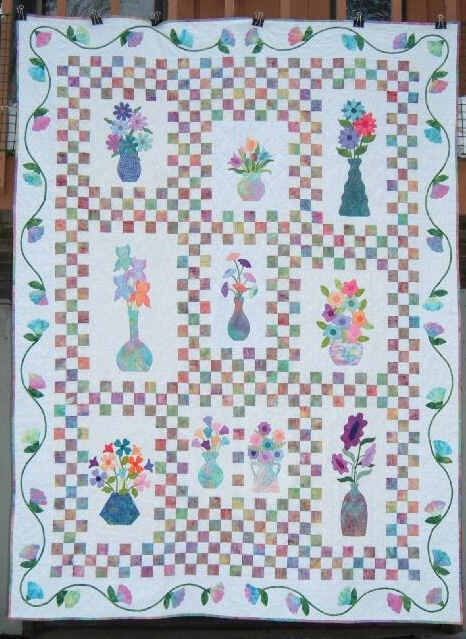 She added her own touch with the border pattern which sets if off so nicely. One lucky grandson! Congratulations Pat! and thanks for sharing the photo.